A settlement of $1.9 million was reached Thursday in a civil lawsuit stemming from the fatal police shooting of a homeless black man on Skid Row in Los Angeles three years ago, attorneys said. 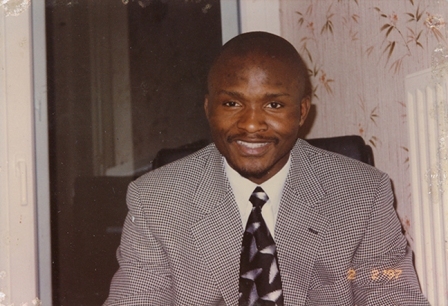 A jury earlier in the day found two police officers liable for financial damages in the shooting death of Charly “Africa” Keunang, a transient from Cameroon. Jurors were set to begin the damages phase of the trial when the settlement was announced. The agreement, which requires City Council approval, resolves all fees, costs and claims and closes any future litigation over Keunang's death, City News Service reported. The settlement will go to Keunang’s family if approved. “There’s no amount of money that’s going to bring back the loved one,” U.S. District Judge Terry J. Hatter Jr. said at the conclusion of the federal civil trial. The eight-member jury unanimously determined that Officer Francisco Martinez deprived Keunang of his Fourth Amendment right against unreasonable force and that Sgt. Chand Syed breached his duty as a supervisor to intervene during the fatal encounter. Prosecutors in 2016 declined to file charges against the officers after it was determined the shooting justified because Keunang grabbed a rookie officer’s gun during a struggle March 1, 2015. Officers were responding to reports that Keunang, 43, a Cameroon national, had threatened another man living on the street in the section of the city teeming with homeless people. Video of the shooting by a bystander was viewed millions of times online and prompted protests in the city and drew comparisons with the deaths of other black men killed by officers in the U.S.
A lawyer representing Keunang’s family in the lawsuit disputed that the homeless man ever had hold of an officer’s gun. The Police Commission cleared officers of the shooting, though it found one officer’s tactics violated policy. It did not publicly reveal what policy was violated. 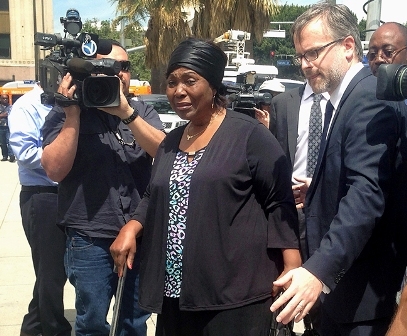 Keunang’s family sued the city of Los Angeles and four officers, seeking unspecified compensatory and punitive damages on allegations of wrongful death, negligence and civil rights violations. The jury cleared a third defendant, Officer Daniel Torres, while former Officer Joshua Volasgis — who was named as a defendant — had been expected to face proceedings in state court, but the settlement effectively ends that case, said Deputy City Attorney Christian R. Bojorquez.